Sunday morning around Hyde Park Square is truly a family affair. A band plays near Kilgour Fountain and children dance. 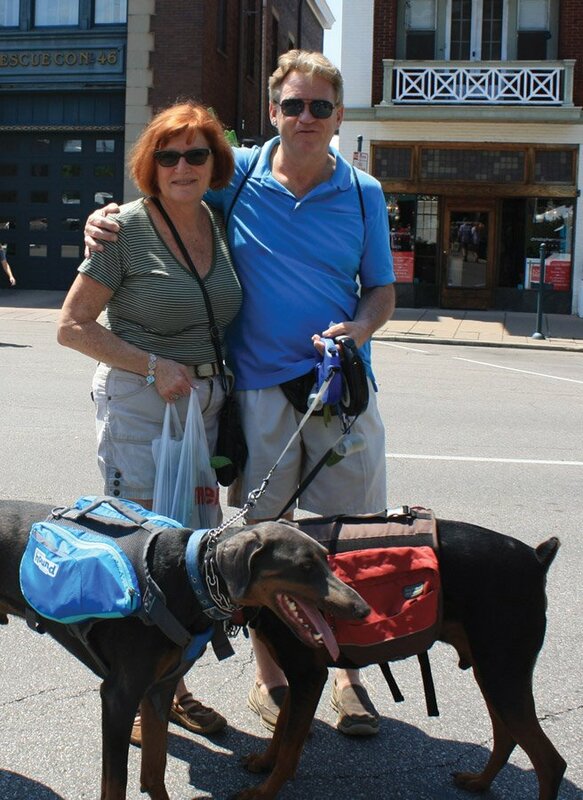 Strollers and dogs abound, with shoppers (and samplers) from every generation. 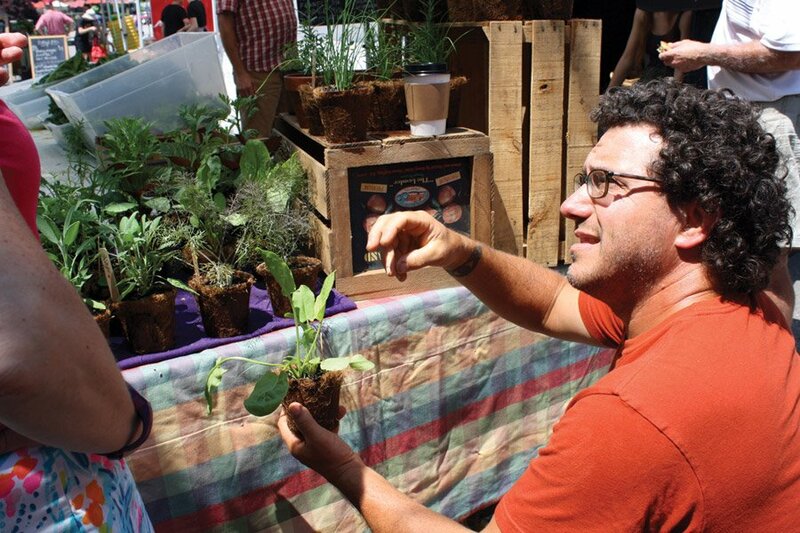 This vibe extends to the vendors of the Hyde Park Farmers’ Market, who have grown, raised or created their product offerings themselves, often with the help of the whole family. The growers admitted to this market all follow regenerative farming practices and do not use GMO seeds or synthetic fertilizers or pesticides. The livestock and poultry are raised humanely – outdoors in pastures – without the use of antibiotics or hormones. Shoppers can buy with confidence knowing where and how the food was grown, and perhaps even get to know the family who raised it, baked it or preserved it. 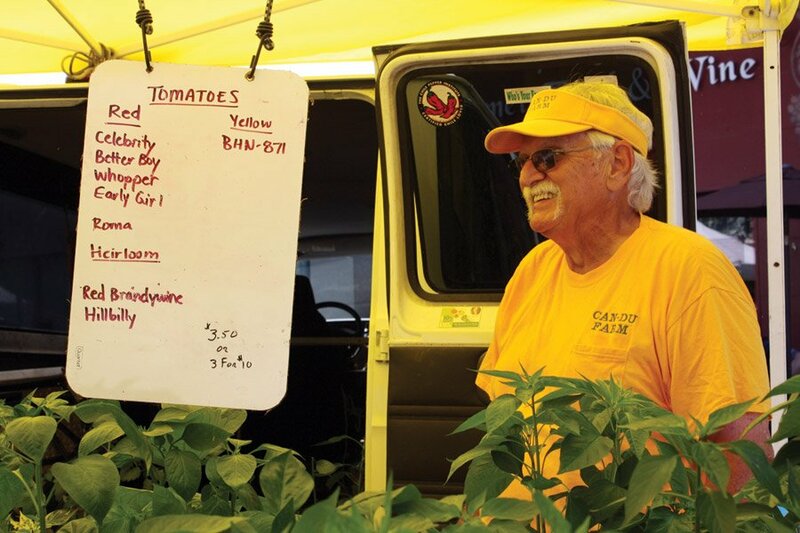 In 1993, Charlie and Vaunda Ernstes started Can-Du Farm with a small plot of peppers. Today, the farm near Bethel, Ohio, is a multi-generational family affair – even the grandchildren pick vegetables and assist customers on market days. 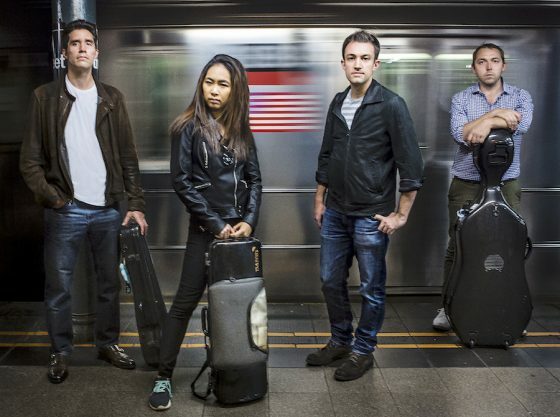 Adam and Sarah Mancino met in college as fine arts majors. Many years later they moved back to Adam’s family farm in Bethel and began growing vegetables to feed their young family. They gradually transitioned into full-time farming, now running a four-season bio-diverse farm (Farm Beach Bethel) with a number of hoop houses for cool-weather growing. 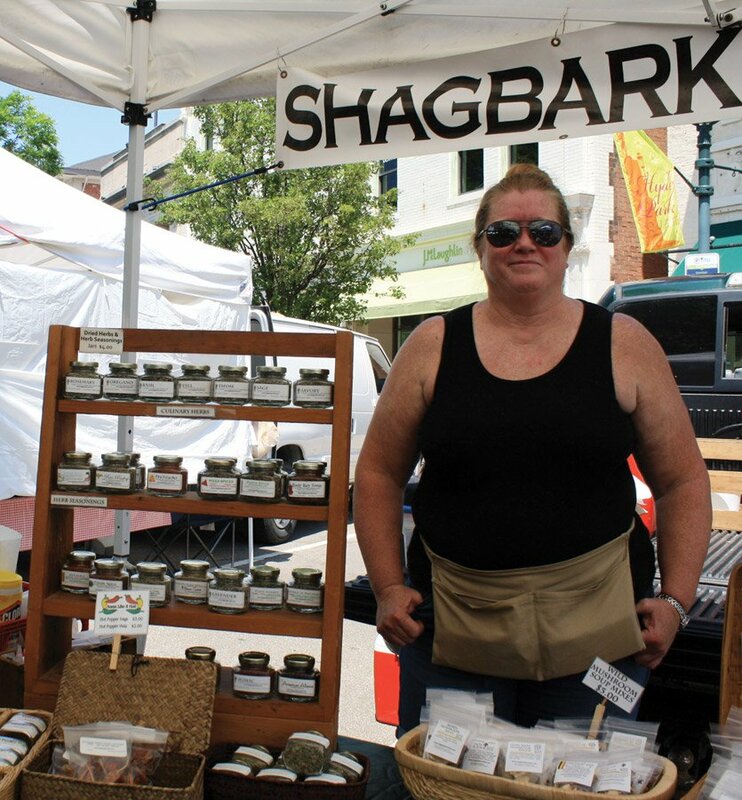 Coming to the Hyde Park Farmers’ Market from the rolling foothills of Appalachia, the folks at Shagbark Farm bring to market their heritage of culinary and medicinal herbs, wild mushrooms, red raspberries and other foraged wild edibles, along with their signature Shagbark Hickory Syrup. healthy and wholesome production of fresh farm meats, eggs, and organic fruits and vegetables. 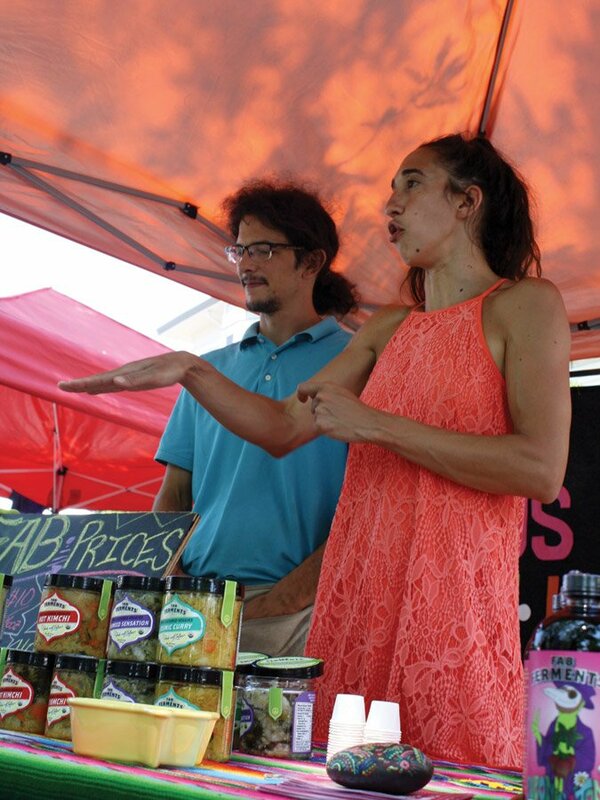 Jordan Aversman and Jennifer De Marco of FAB Ferments (Lockland) are on a mission: to spread the word about the numerous health benefits of naturally fermented foods, such as kimchi, pickles, sauerkraut and kombucha. 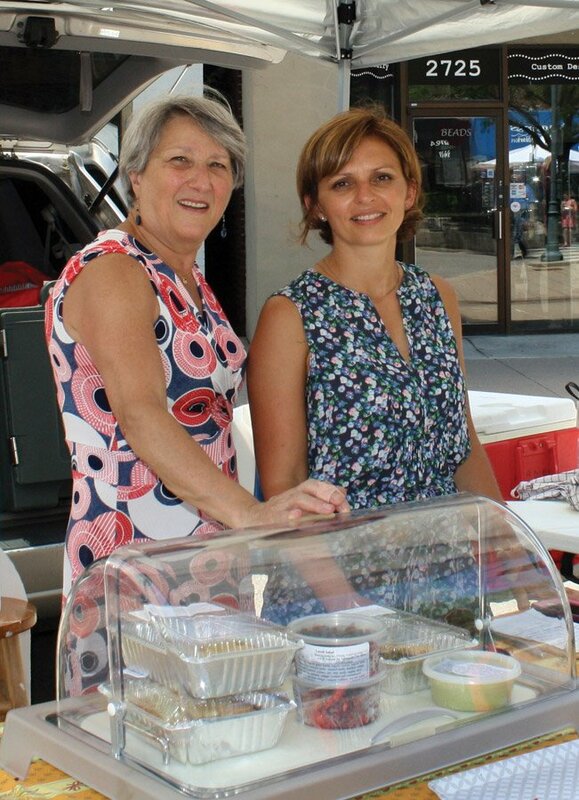 Brigitte Cordier and Anne Fribourg of Simply French Cuisine are French-born foodies whose paths crossed in Cincinnati. They have a passion for fresh, clean, organic food and cook everything from scratch with quality ingredients, sourcing local products whenever available. 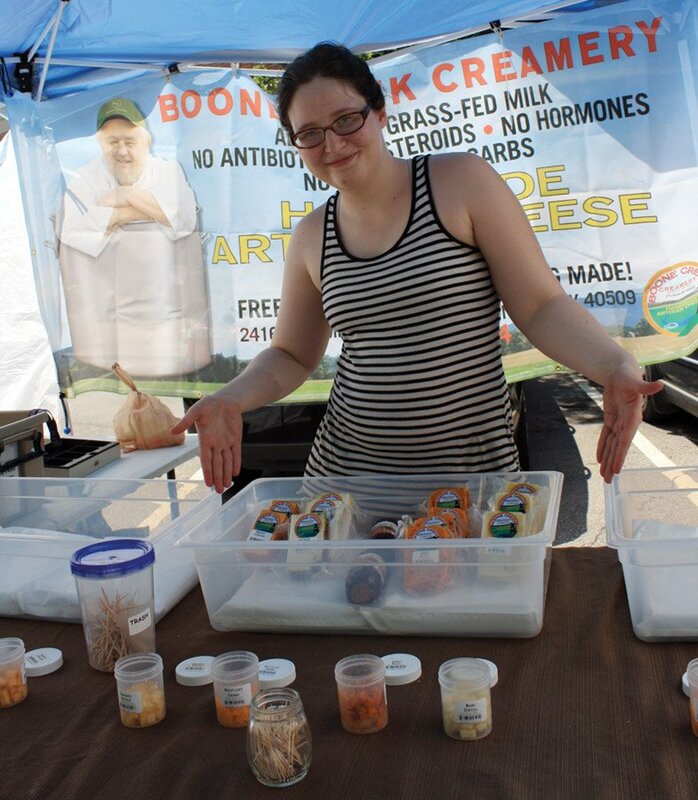 Meet Eliza of Wildwood Flora (Cincinnati). 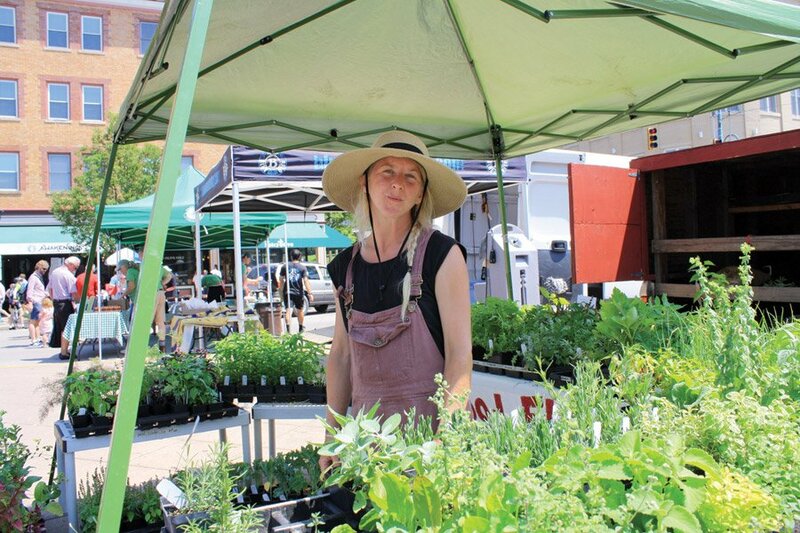 She produces specialty cut flowers and plant starts on her urban farm, using sustainable methods of good stewardship with the land. 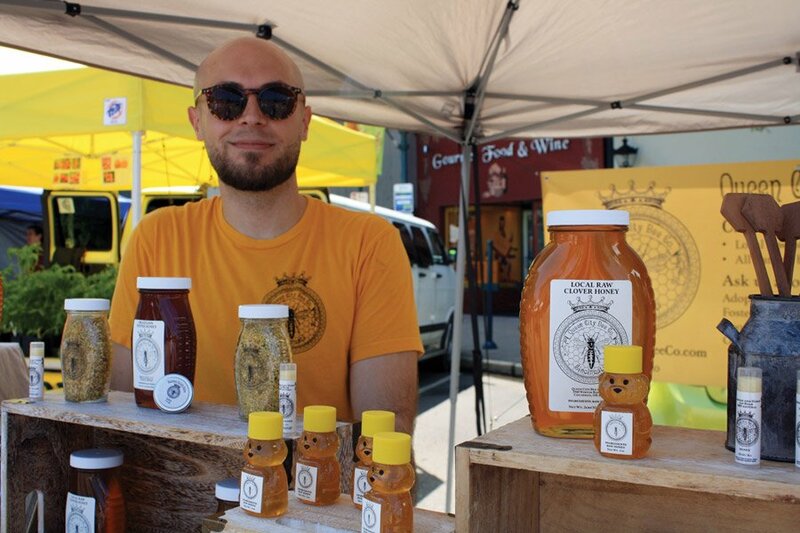 Jeff Richardson is one of the beekeepers at Queen City Bee Company, offering a range of raw local and Florida honey and bee pollen, plus natural handcrafted bee-based body and home products. 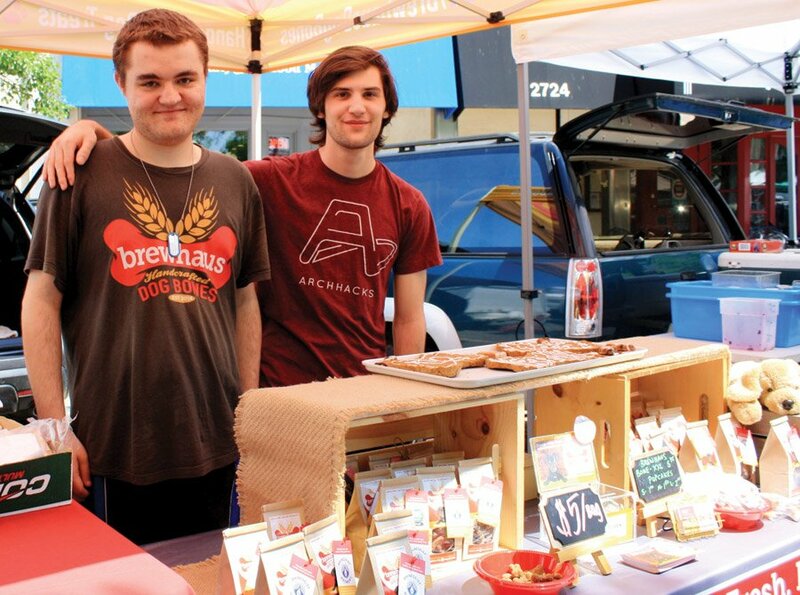 Eric Pauly and Matthew Graham represent Brewhaus Dog Bones – small-batch, oven-baked dog treats made of whole grains sourced from Cincinnati and Northern Kentucky microbreweries. 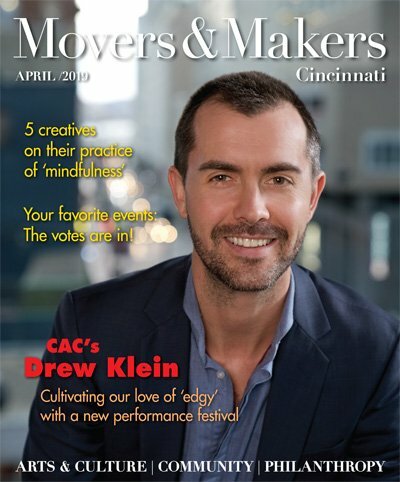 Area schools use this nonprofit business model to help their students with disabilities (typically ages 18-22) learn valuable work and life skills. Hazelfield Farm in Worthville, Kentucky, produces almost five acres of specialty cut flowers and over twice that much in fresh vegetables, fruits, herbs and grains. 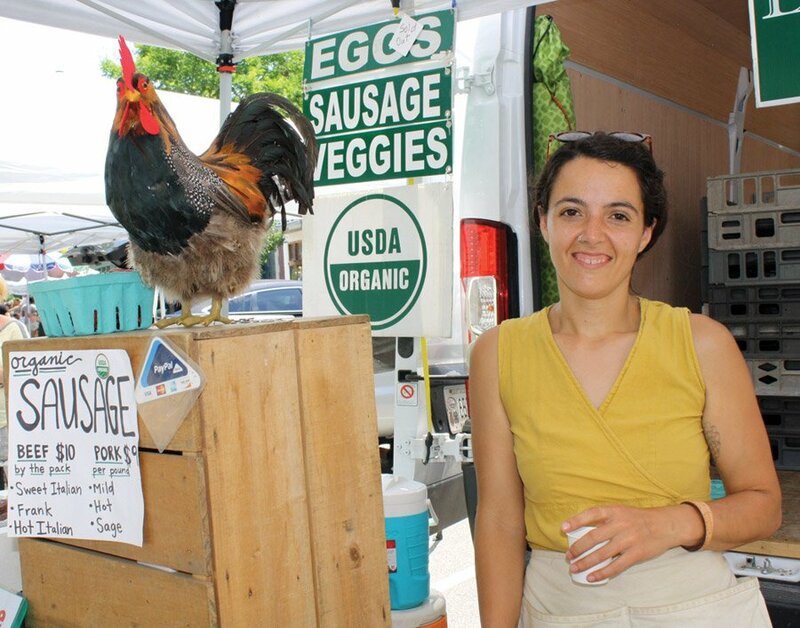 Owners Raphe and Teresa started selling at Hyde Park Farmers’ Market during its first season, 14 years ago. 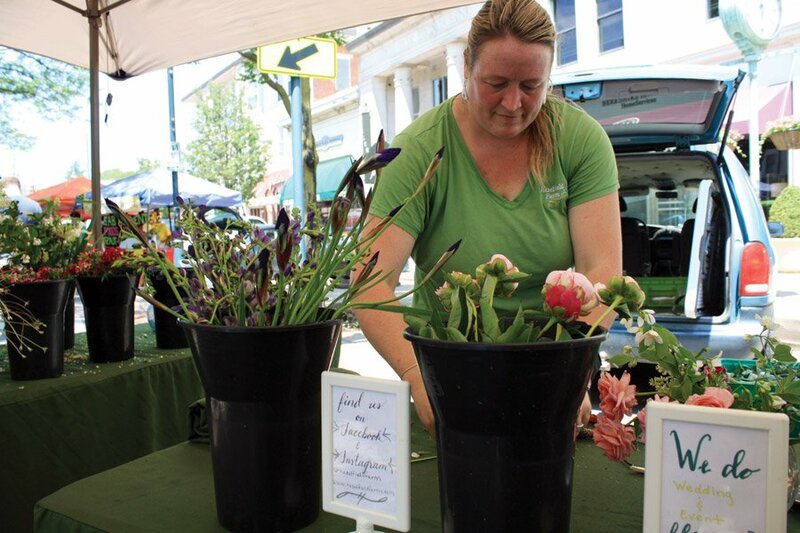 Their daughter, Sayward (pictured), tends the floral stand, arranging bouquets to order. 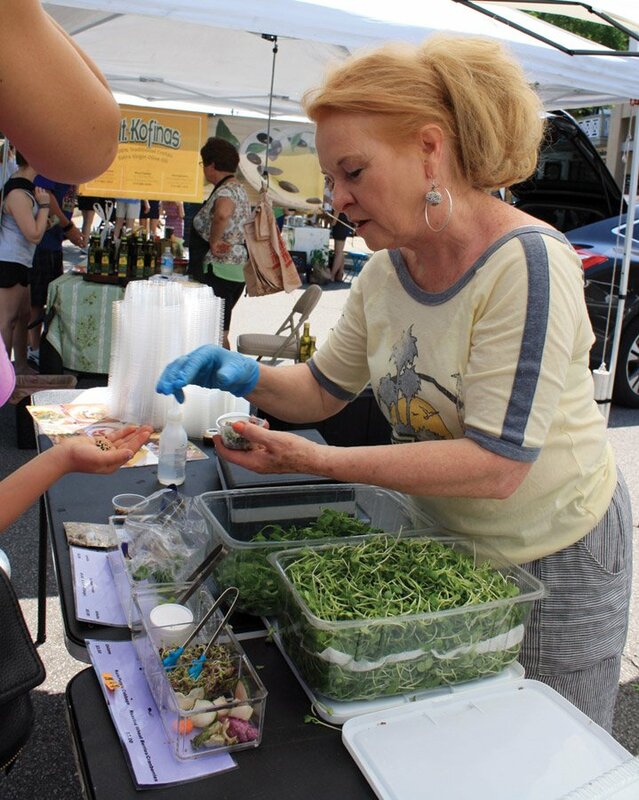 LaRel MicroGreen Farm (Milford) sells non-GMO microgreens and heirloom beans. 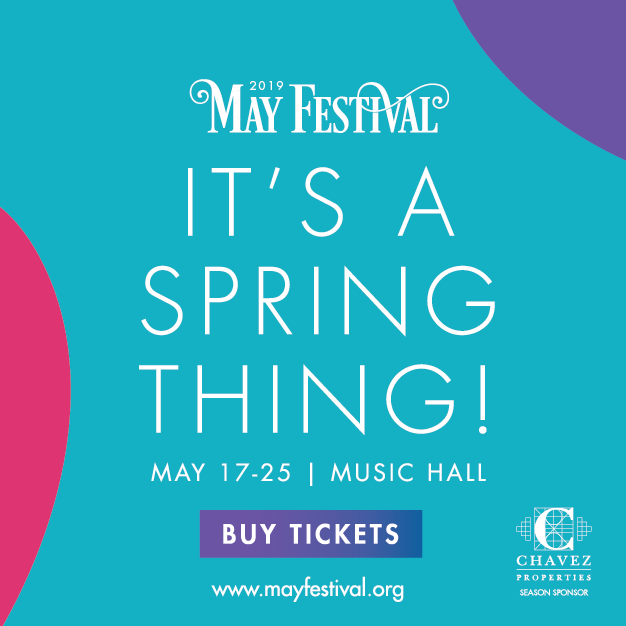 Grower LaRel Grant will tell you microgreens are vegetables harvested when there are only two leaves, which contain all of the vitamins and nutrients from the planted seed. Tiny, but mighty. 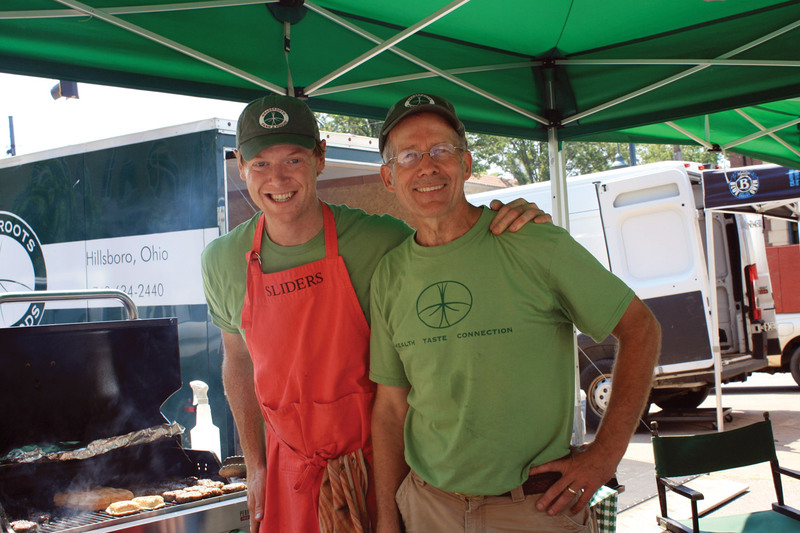 Grassroots Farm & Foods produces grass-fed beef, lamb, pork, chicken, eggs and prepared foods in Hillsboro, Ohio. Drausin and Susan Wulsin took on the operation of the family farm after successful professional careers. Try a delicious slider from the grill. 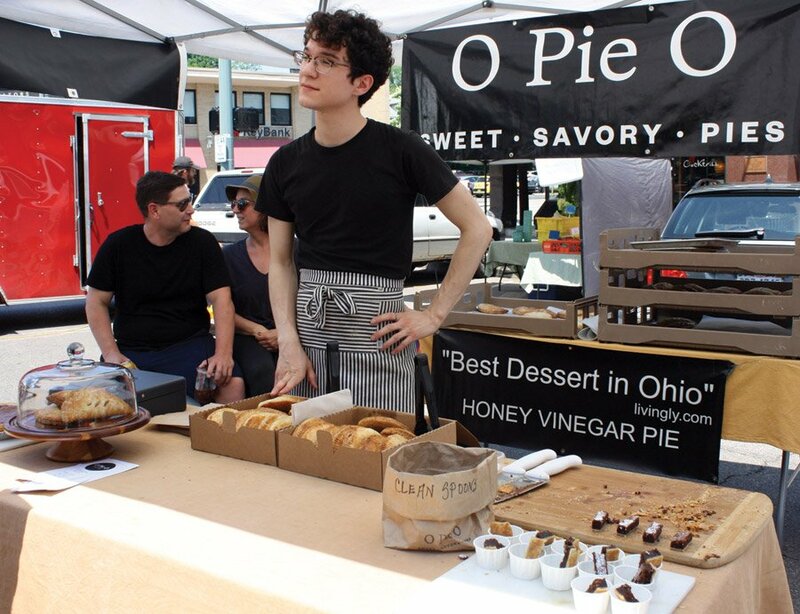 O Pie O offers sweet and savory pies made of seasonal ingredients. Visit early for the best selection. The herd at Owl Creek Bison (Chillicothe/Frankfort, Ohio) is free-roaming and grass-fed for leaner, lower-cholesterol meat. 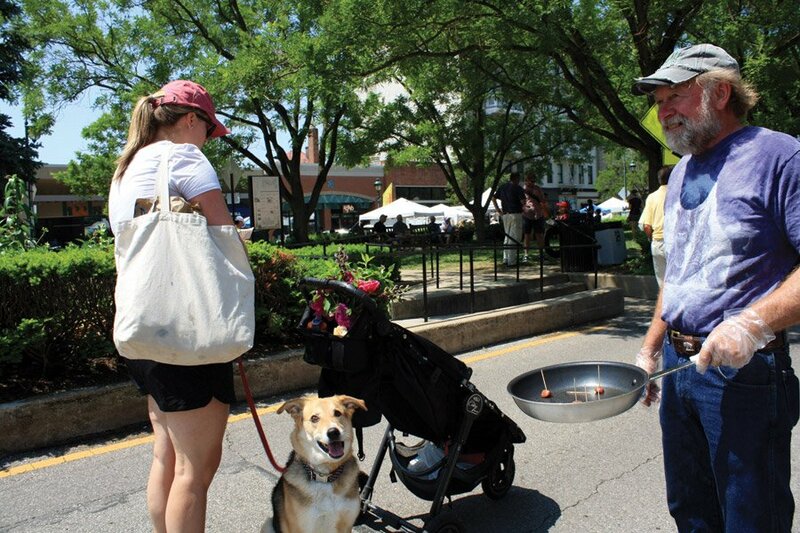 Rancher Greg Ruter’s bison sausage samples are a hit with both humans and dogs. Boone Creek Creamery offers artisanal cheese made by hand using European techniques and Kentucky milk. The cows are pasture-grazed and never given any antibiotics or hormones. The milk is not homogenized and is pasteurized at just 145 degrees. 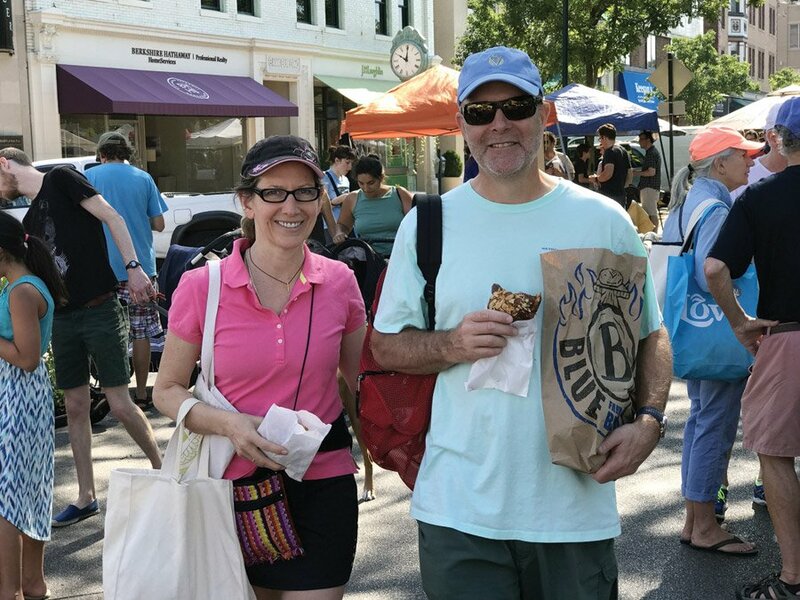 Liz Stites runs the Hyde Park Farmers’ Market, and is seen here shopping with her husband, Kevin Randall. 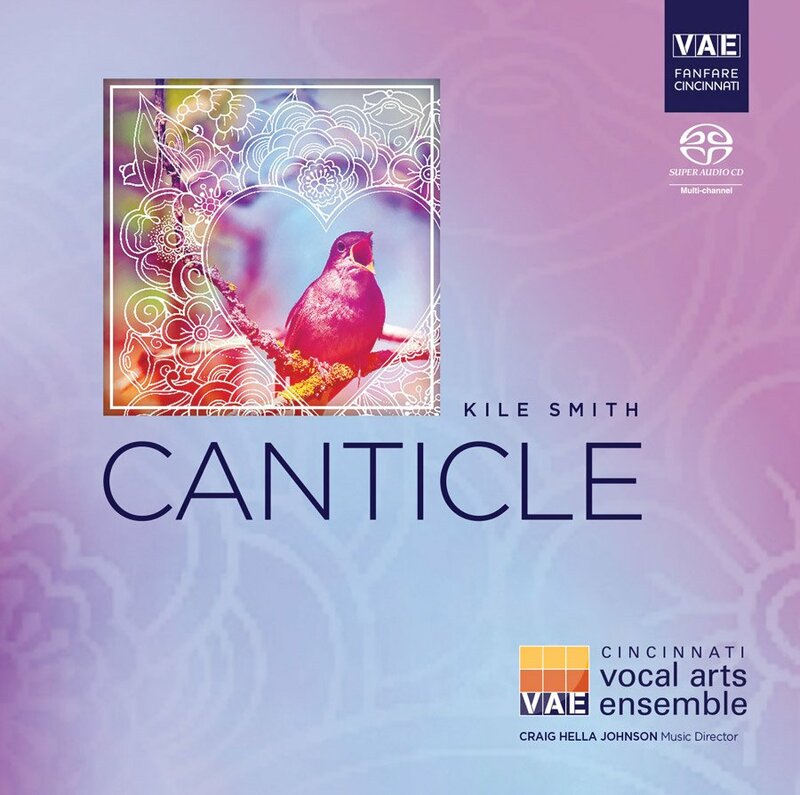 Stites helped out the management team for several years before joining the staff.